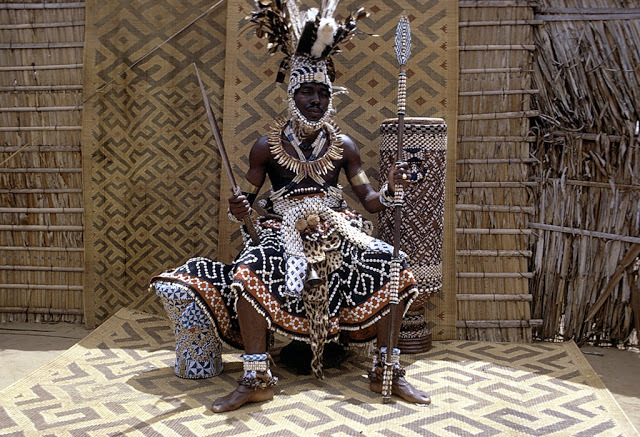 The Kuba people live in the southern Democratic Republic of the Congo, previously known as Zaire. The dynasty was established in 1625, and the different groups within the kingdom owe allegiance to a king or Nyim. Because if its position on ancient trade routes between the east and the west coast of Africa, trade items became symbols of prestige and power. 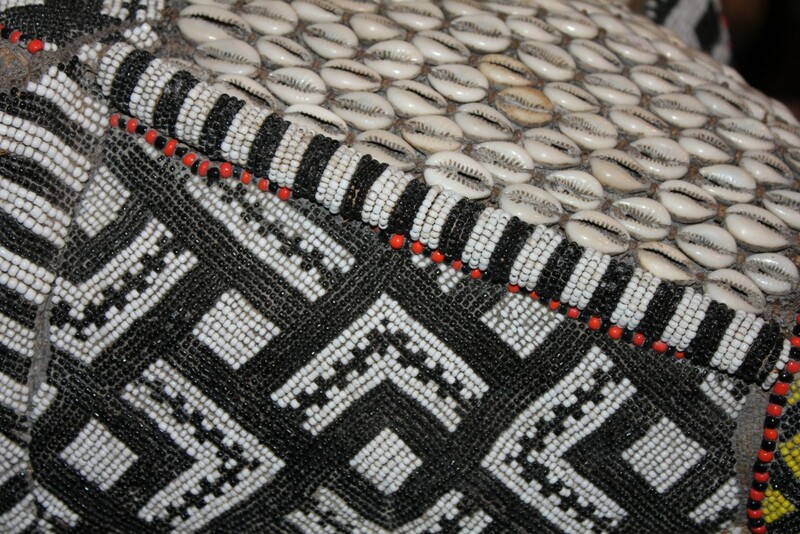 Ivory and raphia (local produced fabric of plant fibres) were the two main local products that were exchanged for manufactured goods, which included beads. Only in the 19th century did the Kuba come in direct contact with Europeans. 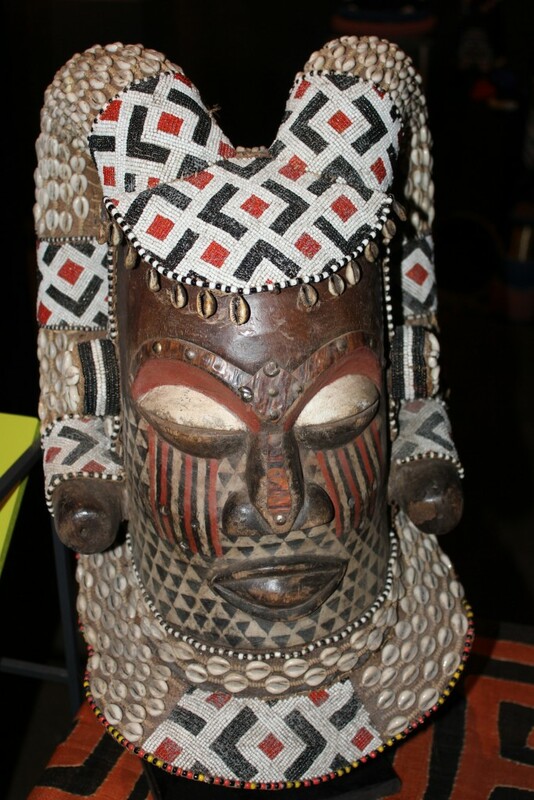 Over twenty types of masks are used among the Kuba, with meanings and functions that vary from group to group. Kuba wooden helmet masks are probably the most commonly produced items, and these striking masks are wonderfully decorated with geometrical surface designs in dazzling contrasts. Hide, animal, hail, fur, beads, cowrie shells and feathers ornament the masks. One widespread context for masking is initiation. Every several years a group of boys will be inducted into manhood through the initiation which transform uncircumcised boys into initiated men. Funerals are a second important context. 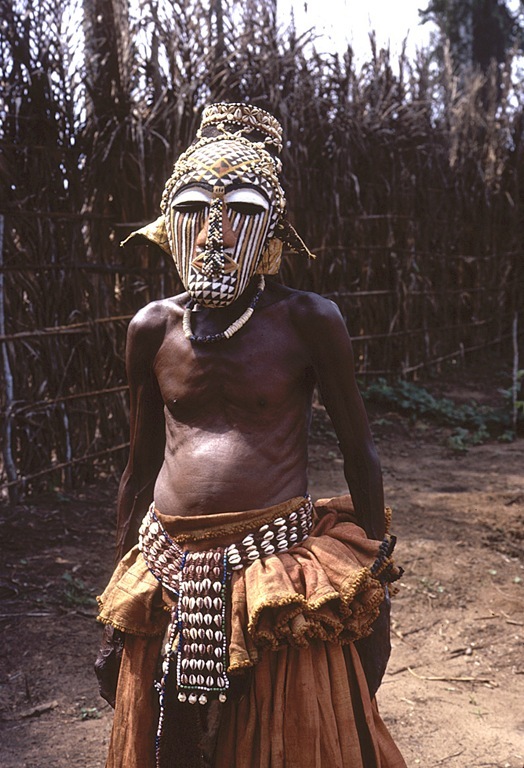 The large masks are called Mukyeem or Helmet Mask while smaller once are called a Bwoom mask.